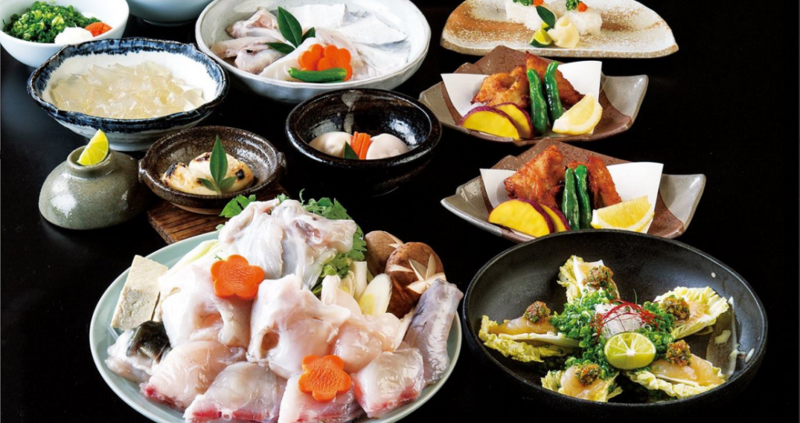 Be prepared to be blown away by this ultimate fugu experience. 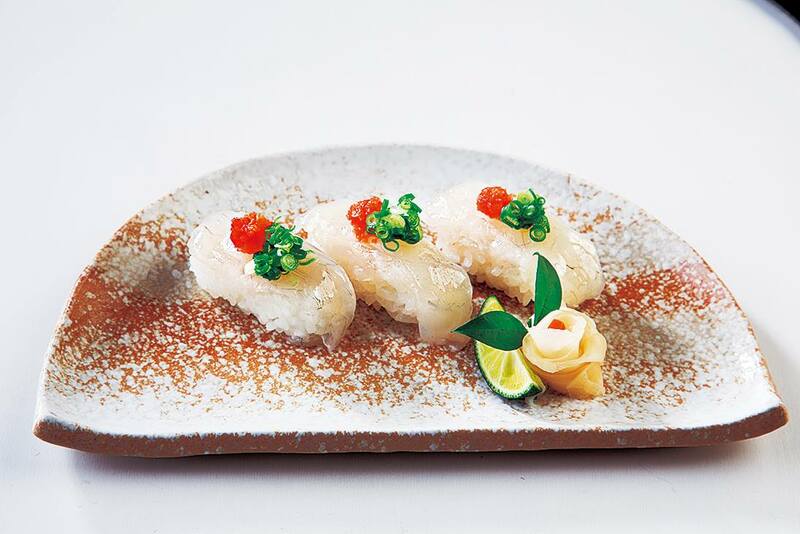 Guenpin Fugu, Japan’s largest fugu restaurant chain, has set up shop in Singapore! It boasts a whopping 96 outlets in Japan, and has just settled here in a cozy 32-seater establishment. The secret to its success? The most exciting dish on the menu–its signature Tiger Puffer Fish. Not all fugu are created equal. “Torafugu”, or Tiger Puffer Fish, is recognized as the most premium grade of puffer fish available on the market. Rich in collagen and protein, torafugu has less calories and fat than normal puffers, making it the luxury go-to fish for health and beauty. You can choose to have this rare fish in all its delicious forms. There’s the thin sliced puffer fish sashimi “Tessa” ($28), puffer fish hot pot “Tecchiri” ($55), BBQ puffer fish meat ($48), puffer fish sushi ($18/3 pc, $28/5 pc), and deep fried puffer fish meat ($35). 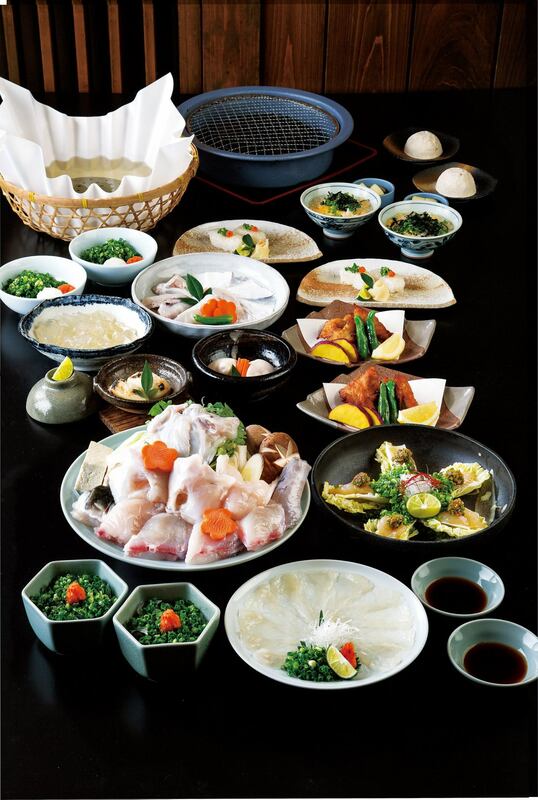 Each dish is prepared by hand, and with the 30 years of skill and expertise of Genpin Fugu’s licensed artisan cooks. Guenpin’s torafugu is flown in from Shimonoseki, Japan’s puffer fish capital for safe and quality fugu. If you’ve never tried torafugu before, expect a clear, translucent meat with a crisp, firm texture, and subtle flavour. 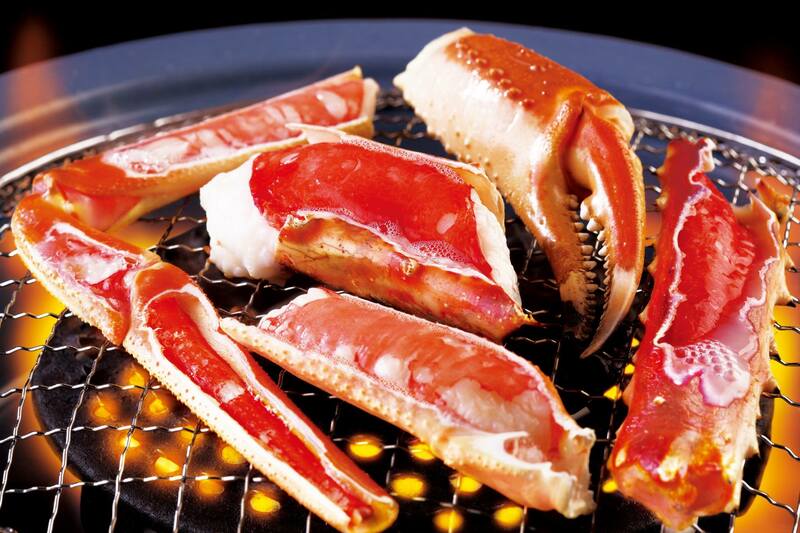 For the less courageous, Guenpin’s snow crab is a great alternative. 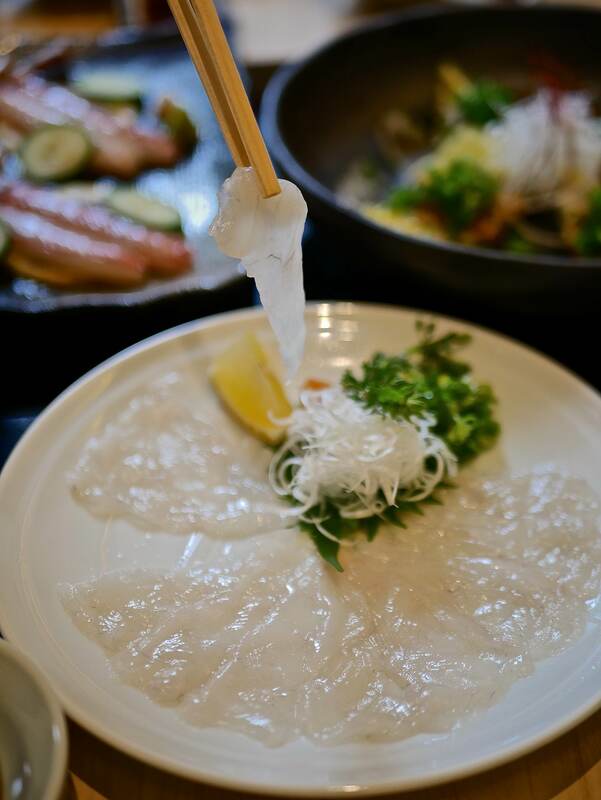 Just like the fugu, it’s prepared in a variety of ways like sliced sashimi, sushi, grilled, hotpot or cooked with porridge. No Japanese meal is complete without sake! While classic picks are always on the menu, the more adventurous can go for the more obscure ones. 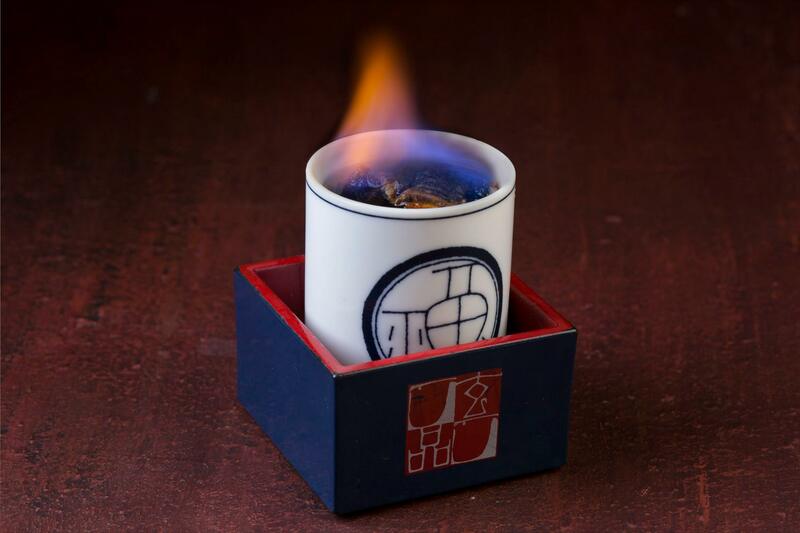 Think fin sake ($25), or tsugi sake ($15)–a cup of heated sake with grilled fish fins. If you’re looking to have a taste of pufferfish, this is the fugu specialist you need to visit.